Getting a new pastor is an exciting time in a church. Often times, people want to help and don’t know how. We live in the South and people are very polite – almost to the point of hindering sincere interactions. I feel indebted to the point of guilt when a friend helps me out. There’s no way I could ask a virtual stranger for help! 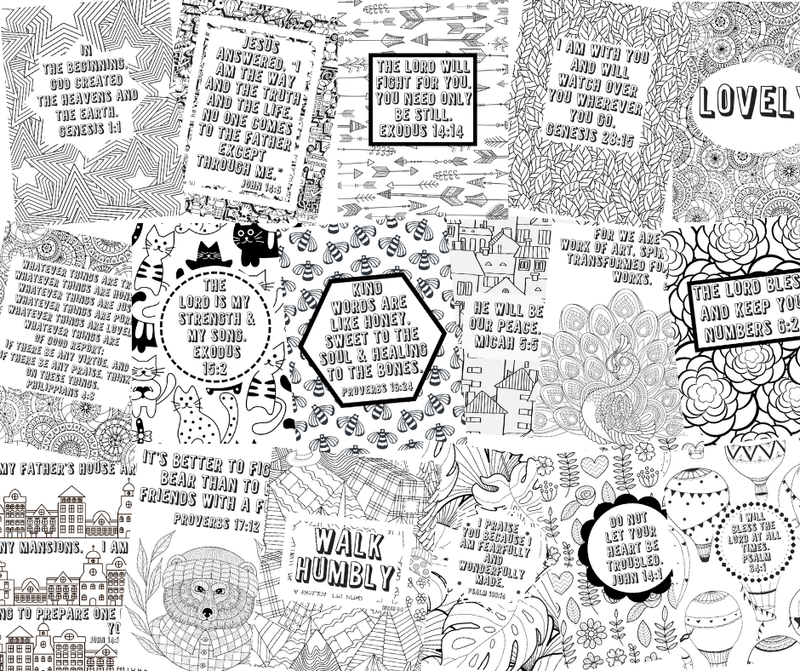 So, what if in lieu of these typical niceties, church members just did? Bring everything you’ll need to eat – plates, napkins, drinks, a picnic blanket, etc. Come over that first week. What builds connection better than pizza? It’s hard making connections with people as a pastor’s family. People assume that while you were in seminary getting that Divinity degree that you also got your entire life together, which is completely false. Having church members that want to get to know you – the real, unpacked, sweaty, flustered you – makes Sunday mornings easier. Seeing a face in the crowd that wanted to know you enough to eat KFC on a picnic blanket with you on a Tuesday night is more comforting than you can imagine. 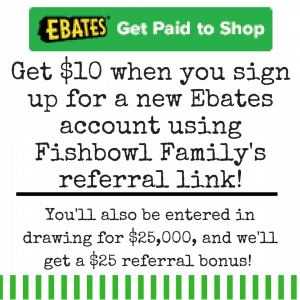 This post, Ten Ways to Make a New Pastor Feel Welcome, contains affiliate links which means that if you click on a link and make a purchase, I’ll receive a small compensation at no extra cost to you. Read our full disclosure policy. Often times, people assume that since they aren’t a powerlifter, they can’t help unload the U-haul. This is sort of ridiculous because that U-haul was packed by your pastor, and most pastors do not have time to work out much less become a powerlifter. There will be some heavy boxes, but there will also be plenty of light boxes. Basically, you’re going to set up a line of ants carrying boxes off a truck. And if you truly can’t carry boxes, being inside to help with kids or direct people where to take boxes is helpful too. I don’t have a silverware drawer or a place to put pyrex or towels or anything else yet. I have a box with silverware in it. I remember where the box was yesterday, but I’m not sure I can locate it quickly before we eat again. So, I promise it’s better for our sanity for people to put things up even if it is in a different place than I would have than to have to keep digging in boxes for things we need. Yes, I know your house is a mess and you’re not a great cook. Your pastor’s house is way more trashed than yours, and the semi-order of your house could be a welcome respite from the chaos of his. Remember, these people are unpacking their lives. They are doing it literally by moving their possessions into a new home and figuratively by sharing life with your faith community. Neither of these activities lends itself to finding time for home-cooked meals right now, and the family would really love something for dinner that’s not a sandwich eaten on a kitchen counter at 9 pm. As for your cooking, you don’t have to be a good cook. Home cooked beats Applebee’s every time. If they have children, don’t worry about their food preferences. Cook something normal for dinner (tacos, spaghetti, burgers, chili, etc.) and know that this one meal will not make the difference between them getting overweight or being labeled failure to thrive. If you’re super concerned about the kids eating, make some peanut butter and jelly sandwiches. Check out our post Ten Quick and Frugal Sunday Lunch Ideas for some inspiration. 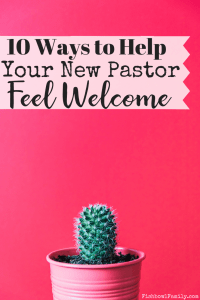 This takes us back to the heart of this effort – being hospitable and making your new pastor feel welcome. Please remember that your pastor and his family are regular people. His time in seminary did not give him any sort of direct line to God. He gets lonely and wants to have people that he can just enjoy being with rather than only ever going into members homes who are sick, in need of counseling, or haven’t been to church in a while. For those of you not old enough or Southern enough to know what this means, it’s where you bring the stuff the family needs to stock their kitchen. This used to be a very traditional thing to do when people first got married, and it’s a tradition that has sort of fallen by the wayside now with the advent of registries and bridal showers. Having people bring you the stuff you need for your new house is great for obvious reasons. Just keep in mind their preferences. If the family says they eat gluten and dairy free, don’t buy them bread flour and milk! At our last church, the secretary did an amazing job of finding out what sort of foods we ate and letting people know. She put an announcement in the church newsletter, set up a table to gather supplies in the fellowship hall, and had a shopping list on the table for people to take with them to the store. If your church has a parsonage, clean it before the pastor gets there. It’s tough enough moving, but having to clean before you can unpack really compounds things. I’ve heard horror stories from pastors about churches who left the previous occupants unwanted furniture in the house, and even one where they left boxes of old church documents stored in the closets – for the entire decade the pastor lived there! Hire a professional cleaning service or have a work day at the house where members can come show their love through service. We were so blessed by the people at our church. They put paper goods, cleaning supplies, toiletries, even Bath and Body Works hand soaps in the house for us. My kids smelled like Cucumber Melon for weeks! Despite our numerous moves and my best efforts, I can never place my hands on the box of cleaning supplies or paper goods in the first few days after a move. Inevitably, we end up running to the store to get these things and usually it’s at least two trips. Or seven. With this move, we didn’t have to leave the house for supplies a single time! This one is sort of obvious, but gift cards are really a perfect gift for a time like this. You don’t have to worry about coordinating schedules to be able to take them out to eat, and the pastor doesn’t have to worry about seeming rude because he’d rather eat a PBJ and collapse than get showered, dressed, and go out to eat. Choose a gift card from your favorite local place, and include a note telling menu items you like and an open invitation to meet them there whenever they like. Every pastor I know likes to eat at locally owned places. Mom and pop diners and the like are great places to meet people connected to the community and to become a part of the community quickly. It’s hard for kids to move no matter what their age is. They leave their friends, their comfort, and the familiar. So, if you have kids, bring them over to the pastor’s house to play. Talk to the pastor first, but arrange a time that you can bring over some popsicles and bubbles or whatever age appropriate thing you think their kids will enjoy. Take the kids out of the house or to a room the parents aren’t working in, to allow the parents to unpack without kids underfoot. It will be a great change of pace for the kids to get to have friends over and just PLAY and be a kid for a while with a new friend. Another bonus is that the kids will have a familiar face when they go to church and maybe even school. It will also be good for you to get to know their kids so that you can help out with them Sundays. And if your kids aren’t the same age as their kids, that’s okay too. Bring your toddler to play with their elementary kids. Bring your teenager to play with their toddler. The point isn’t that your child is going to be their child’s best friend. The point is that they probably have children who, despite their parents best efforts, are being slightly neglected right now. Their parents are busy getting unpacked and trying to make life livable not to mention starting at least one new job. By coming over and giving their children attention, you are teaching their children that they matter as people. They aren’t just a little extension of the parents. They have feelings and personalities, and they matter. Making the pastor’s kids feel welcome goes a long way towards helping your pastor feel welcome. I mean this literally and figuratively. Every church has some sort of baggage or issues that arise periodically. It often comes to the fore during the interim between pastors. Do your new pastor a favor, and take care of these BEFORE he gets there. Give your pastor a fresh start. You’ve prayed hard for this man. You’ve asked God to send the right person to your church, and you’ve waited patiently. Don’t burden him with problems that could be taken care of before he begins. Let his primary job be to minister and love people. There is a tendency to put off action before a pastor comes because you don’t want to act only to find out that the pastor would have acted differently. In some situations that’s a fair consideration. You don’t want to take on an obligation that he will have to fulfill without talking to him first, but that’s not the same as fixing what’s broken. If the bathroom sink has a leak – hire a plumber to fix it. If there is a person in a position that isn’t effective or is running people off – fix it. If the church constitution is 86 pages long and written in the King’s English – thou shalt fix it. Your pastor has been called by God to minister to the spiritual needs of your congregation, and if he is spending the majority of his time putting out fires and dealing with petty things, he is not being as effective a minster as he can be. Secondly, your next pastor will earn his reputation in the first six months he is on the job. If he comes in and has to make changes right off the bat, whether or not the changes were necessary and beneficial, he will be seen by some as authoritarian, discontent, and conceited. Instead, let his reputation be earned during his caring ministry, the warmth of hospitality, and faithful preaching. These are just some ideas that have come up from our moves to new churches. 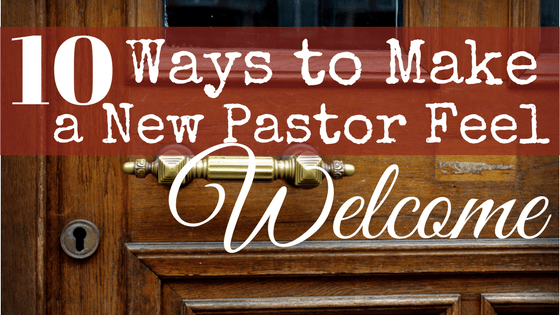 What are some ways you’ve found to help your new pastor feel welcome? Tell us in the comments! Preacher’s Kids- A Bad Rap or an Earned Rep? « How Crunchy Should You Go? Can I just mention a couple of “What does not help the new pastor?” (1) if your behavior does not glorify (or reflect) our God, then stop and make a new personal commitment to change this. (2) if you say ugly things to your family, your friends or people in your community, then stop. This hurts all of us. God deserves better and so do we. (3) if you are carrying a grudge, resentment, judgment, or if you think your way is the only way, then stop. Repentance is only a thought away. (4) our words and our actions have far-reaching consequences. Not just for ourselves, but for our pastor, our church and each other. Sometimes these are unintended but we can be responsible just the same. In my view, it is a tragedy if a church cannot be a loving body of God’s people. We all need each other to be loving, forgiving and supportive, and worthy of those words we all long to hear one day — “Well done, my good and faithful servant.” That’s my view. I love this! Thanks for this practical list — we love our new pastor and his wife! Anything we can do to make them feel welcome and loved is important!